I mentioned the new ‘tug’ coming in Rhea to allow easy transportation of a number of fitted battleships in one SMA at the same time. Today, CCP Rise released the initial stats: Ore Freighter Bonus: 5% bonus to max velocity per level 5% bonus to ship maintenance array capacity per level Role Bonus: 90% reduction in jump fatigue generation Slot layout: 0H, 3M, 3L, 3R; 0 turrets, 0 launchers Fittings: 1350 PWG, 215 CPU Defense (shields / armor / hull) : 10000 / 11000 / 36500 Capacitor (amount / recharge) : 3900 / 235000 Mobility (max velocity / agility / mass / warp speed): 65 / .065 / 640000000 / 1.37 Drones (bandwidth / bay): 0 / 0 Targeting (max targeting range / Scan Resolution / Max Locked targets): 51.5km / 45 / 3 Capacity (cargo / ship maintenance array): 4000 / 1300000 (goes up to 1.6 something with ore freighter 5) Sensor strength: 12 Signature radius: 3200 ORE Freighter is a new skill requiring ORE Industrial III and Advanced Spaceship Command V just like other faction freighter skills. At Ore Freighter V, you will be able to haul around three fitted battleships in this bad boy. Some have complained that the EHP may be a little low. I’d like to see it raised a wee bit but people need to remember that this was never going to be (and shouldn’t be) some invincible hauling behemoth able to ignore Catalysts with impunity. Of course, this will generate some spectacular killmails. Oh while I remember, Mike asked me to give a special shout out to Jack Carrigan for keeping the dream (and the relevant threads) alive on the dream for this particular hull. There was a report over on EN24 that some people found that their jump fatigue was zeroed whenever they moved to a jump clone. This is very much not ‘working as intended’. To be crystal clear, if you experience this bug, you are expected to report it as confirmed by CCP Nullarbor. Rhea is coming and contained therein is the very cool new type of Eve space, the key system of which is Thera. There is a named wormhole system combining aspects of wormhole, nullsec and lowsec space. The headline facts are as follows: – NPC stations and landmarks – No capital ships or POS allowed in terms of being jumped in or built – As with normal wormholes, no local – At least one k-space static with changing non-statics to w and k-space – Largest system in Eve by some way – Unique visuals including the system’s sun and nebulae as well as unique station skins On The o7 Show, Fozzie stated he expected Thera to become the Mos Eisley of Eve – an anti-Jita if you will. I expect it is going to attract a lot of people from the traditional WHers, 0.0 alliances looking for a new place to deploy, lowsec pirates knowing they are guaranteed plentiful PvP, industrialists looking to stock what is sure to be a very busy market and lore fans looking to see what Thera has to offer them (I’m looking at you Mark726!). From a CSM perspective, my first thought on hearing about Thera was ‘this could be the coolest testbed ever’. I look at the system as a signpost to where CCP may go in the future and how brave they are now being in willing to experiment with new things. I can’t wait to go visit myself. Another reveal on The o7 Show was the removal of clone costs and skill point loss. This one has been pretty positively received broadly speaking but there is a vocal minority out there very angry that CCP are forging ahead with this change. Sion wrote an excellent piece on the subject over on TMC that more or less directly echoes my thoughts. I’m not going to go out and say if you are against this change you are dumb but I will state clearly for the record that I am delighted about it. 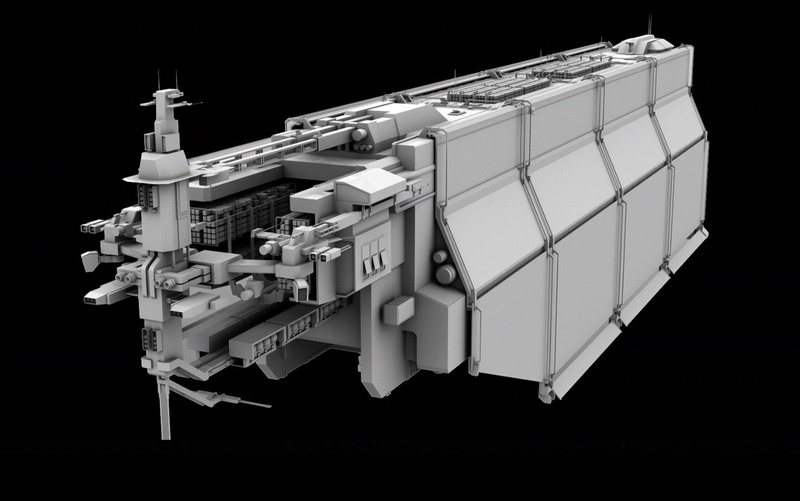 As was also hinted at by CCP Terminus on the show, it also opens up a huge amount of cool design space around pods and the naysayers appear to be completely ignoring this. CCP could do some really cool things with pods going forward and we’ve already had some internal discussion as to where they may go in the future. This was one change that just makes sense – I can’t think of any justifiable reason not to do it. Those of you who partake in Sisi will have noticed that the UI has seen a bit of an overhaul. This was backed up with a new dev blog from CCP Optimal explaining the changes and more importantly, the design influences behind them. I’ve never been that deeply into the design/art/sound of Eve but blogs like this fascinate me – I love reading about influences such as old school sci-fi movies and oscilloscopes and all that good stuff. I think the new changes look great – I get a real Fallout 3 vibe from some of them – but it’s a different kettle of fish once it hits TQ and the heat of battle. I think that’ll do us this week. See you here same time, same place in seven days.